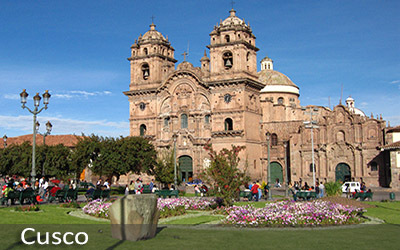 In the morning or afternoon depending on your choice, your tour guide will meet you at your hotel to begin your city tour of Cusco. Your tour will take you to the Temple of the Sun, ‘Qoricancha,’ located on the main Avenida El Sol (Avenue of the Sun). This Incan site was one of the most worshipped and respected temples of the city. After that, we will take you to one of the very charming neighborhoods of San Blas where we will walk around its streets visit some art galleries and learn more about the local culture. Finally, you will experience local daily life at the San Pedro Market, where you will see a wide variety of goods including, gifts, crafts, clothes, meats, juices, fruits, and vegetables. You will have an introduction to the local variety of products and the diversity of ingredients used in the local cuisine. 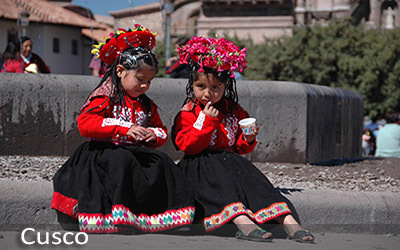 We will introduce you to some of the local native fruits which can only be found in Peru. After your tour, you will be taken to your hotel.